Coming off an exceptional year for Accord that included retail sales leadership and the introduction of the all-new 50-mpg rated2 Accord Hybrid, the 2015 Honda Accord Sedan and Coupe, and 2015 Accord Hybrid begin to go on sale today. Four-cylinder 2015 Accord Sedans have a starting MSRP3 of $22,105, with the four-cylinder Accord Coupe starting at $23,775. Both models are also offered with a V-6 powerplant. The 2015 Accord Hybrid, with Honda’s Intelligent Multi-Mode Drive (i-MMD) two-motor hybrid system, has a starting MSRP3 of $29,305. 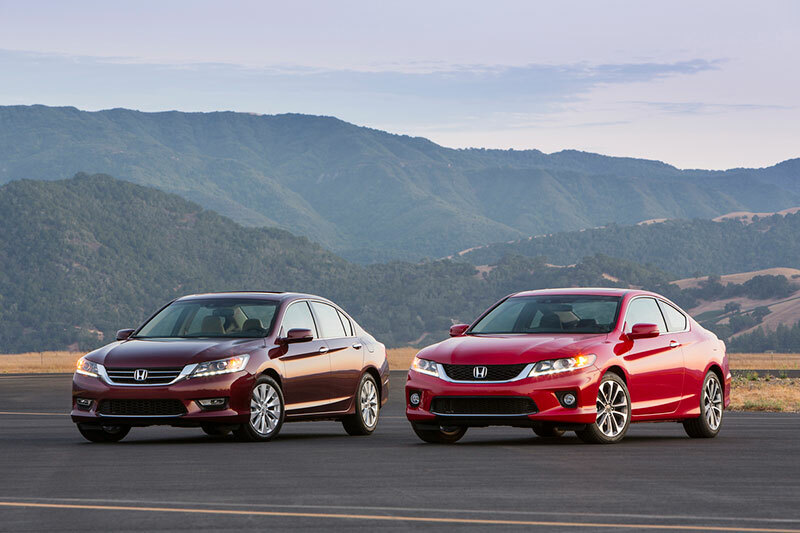 The already very well equipped Accord Sedan and Coupe receive feature upgrades for 2015. The 4-cylinder Sedan and Coupe EX-L and EX-L Navi trims now include the convenience of the HomeLink® universal remote system that can be programmed with the codes of up to three devices, such as a garage-door opener or home security system. The 2015 Accord EX Coupe with 4-cylinder engine gains the Honda LaneWatch™ display that uses a camera and in-dash display to provide an enhanced view of the passenger-side roadway. All Accord EX-L and above Coupes will also now come equipped with an auto dimming rearview mirror. The 2015 Accord Sedan and Coupe are available with the choice of two highly efficient Earth Dreams Technology™ powertrains, a 2.4-liter direct-injected i-VTEC 4-cylinder that produces 185 horsepower4 (189 horsepower5 in the Accord Sport Sedan) and a 278-horsepower6 3.5-liter VTEC V-6 with Variable Cylinder Management (VCM). The 4-cylinder engine is paired with a continuously variable transmission (CVT) or 6-speed manual (6MT) and earns up to a 36 mpg EPA highway rating2. The Accord Sedan with V-6 is paired with a 6-speed automatic (6AT) with a 34 mpg EPA highway rating2. V-6 Coupe models can be equipped with either the 6AT or a 6-speed manual, with the 6AT having a 32 mpg EPA highway rating2. The 2015 Accord Hybrid is powered by Honda’s Intelligent Multi-Mode Drive (i-MMD) two-motor hybrid system that transitions seamlessly between electric motor power, gasoline engine power and hybrid gas-electric propulsion, delivering power to the wheels without the need of a conventional transmission. 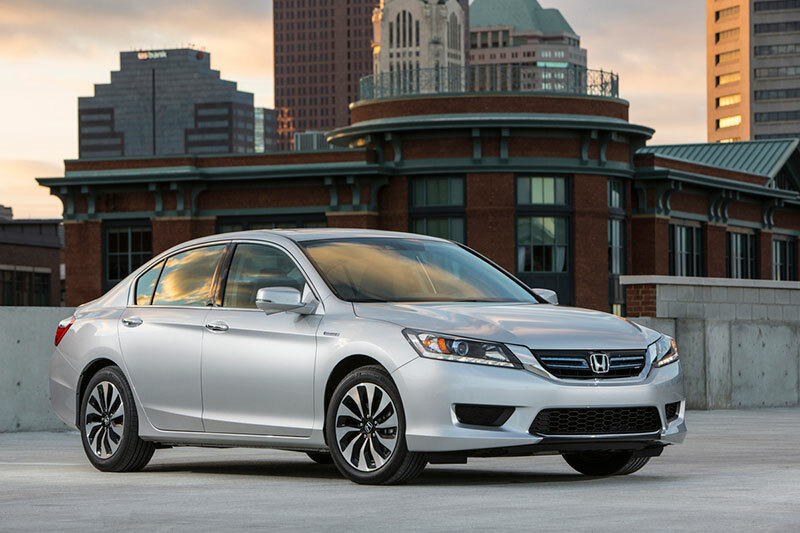 This elegant powertrain helps the Accord Hybrid earn a 50 mpg EPA city rating2.